Learn the three standards that define Startup Equity and three questions to ask to know if you have the real thing. Thanks to the 300 people who joined Chris Zaharias, @SearchQuant, and Mary Russell, Attorney Counsel to Individuals @StockOptionCnsl, for this event in Palo Alto on March 14, 2014! We had a great discussion of how to define and improve startup equity. For Mary Russell's current suggestions on the topic, please see Startup Equity Standards: A Guide for Employees. Right to Know. Company information on capitalization and valuation, being necessary to the employee’s negotiation of a fair compensation package, shall be provided to the employee with his or her equity offer and after each dilution and valuation event. Right to Value. The right of the employee to earn the full value of his or her grant shall not be limited by unreasonable vesting terms. Right to Hold Earned Equity. The right of the employee to hold vested equity up to an acquisition or public offering shall not be violated, and no forfeiture, repurchase or other provisions shall allow the company to seize vested equity of current or former employees. Right to Tax Benefits. The employee shall enjoy the right to all tax benefits available from state and federal governments, and shall not be subjected to tax penalties due to company negligence, at grant, at vesting or settlement and at company acquisition or sale of stock. Right to Ask. The right to evaluate equity shall not be violated by company limits on access to information or legal counsel. Chris is a startup veteran and advocate for startup employee equity rights. chris@searchquant.net (415) 832-0089. If you have a job offer from a startup with an option to purchase shares representing 1% of the company, you may want to consider the Preferred Stock "Liquidation Preference" to see if your 1% would really be 1% if the company is acquired. If the Liquidation Preference is high, you might want to negotiate for more shares to make up for the loss in value you can expect when the company is acquired. 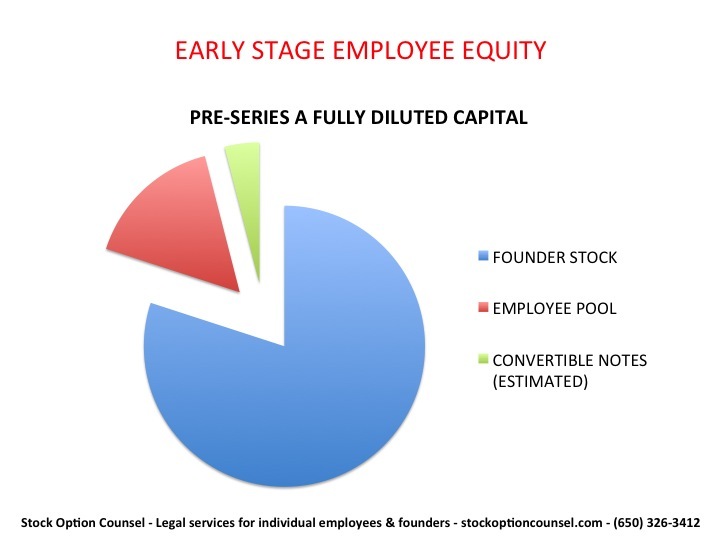 As a startup employee, you'll be getting Common Stock (as options, RSUs or restricted stock). When venture capitalists invest in startups, they receive Preferred Stock. Preferred Stock comes with the right to preferential treatment in merger payouts, voting rights, and dividends. If the company / founders have caved and given venture capitalists a lot of preferred rights - like a 3X Liquidation Preference or Participating Preferred Stock , those rights will dramatically reduce your payouts in an acquisition. One Preferred Stock right is a "Liquidation Preference." Without a Liquidation Preference, each stockholder – preferred or common – would receive a percentage of the acquisition price equal to the stockholder's percentage ownership in the company. If the company were acquired for $15 million, and an employee owned 1% of the company, the employee would be paid out $150,000. With a Liquidation Preference, preferred stockholders are guaranteed to be paid a set dollar amount of the acquisition price, even if that guaranteed payout is greater than their percentage ownership in the company. Here’s an example of the difference. An investor buys 5 million shares of Preferred Stock for $1 per share for a total of $5 million. After the financing, there are 20 million shares of common stock and 5 million shares of Preferred Stock outstanding. The company is then acquired for $15 million. Without a Liquidation Preference, each stockholder (common or preferred) would receive $0.60 per share. That’s $15 million / 25 million shares. A hypothetical employee who held 1% of the company or 250000 shares) would receive $150,000 (that’s 1% of $15 million). If the preferred stockholders had a 1X Liquidation Preference and Non-Participating Preferred Stock, they would receive 1X their investment ($5 million) before any Common Stock is paid in an acquisition. They would receive the first $5 million of the acquisition price, and the remaining $10 million would be divided among the 20 million shares of common stock outstanding ($10 million / 20 million shares of common stock). Each common stockholder would be paid $0.50 per share, and hypothetical employee who held 1% of the company would receive $125,000. The standard Liquidation Preference is 1X. This makes sense, as the investors expect to receive their investment dollars back before employees and founders are rewarded for creating value. But some company founders give preferred stockholders multiple Liquidation Preferences or Participation Rights that cut more dramatically into employee stock payouts in an acquisition. Preferred stock may also have "Participation Rights," which would change our first example above to give preferred stockholders an even larger portion of the acquisition price. Without Participation Rights, Preferred Stockholders must choose to either receive their Liquidation Preference or participate in the division of the full acquisition price among the all stockholders. In the first example above, the preferred stockholders held 20% of the company and had a $5 million Liquidation Preference. When the company was acquired for $15 million, the preferred stockholders had the choice to receive their $5 million liquidation preference or to participate in an equal distribution of the proceeds to all stockholders. The equal distribution would have given them $3 million (20% of $15 million acquisition price), so they chose to take their $5 million liquidation preference, and the remaining $10 million was divided among 20 million shares of common stock. If the Preferred Stock also had Participation Rights, (which is called Participating Preferred Stock), they would receive their Liquidation Preference and participate in the distribution of the remaining proceeds. In our example with a 1X Liquidation Preference but adding a Participation Right, the Participating Preferred Stock would receive their $5 million Liquidation Preference AND a portion of the remaining $10 million of the acquisition price equal to their % ownership in the company. Common stockholders would receive (20 million shares common stock / 25 million shares outstanding) * $10 million = $8 million. Our hypothetical employee who held 1% of the company would receive $100,000 (.01 * $10 million) or 0.67% of the acquisition price. If you are an employee of a startup, you can use Liquidation Preference as shorthand for the minimum price the company would have to be acquired for before any employees would be paid out. If the acquisition price is less than the Liquidation Preference, common stockholders will get $0 in the acquisition. 1. What is the total Liquidation Preference? Do the investors have Participation Rights? 2. If the company were purchased today at the most recent VC valuation, what would my shares be worth? 3. If the company were purchased today at 2X the most recent VC valuation, what would my shares be worth? 3. If the company were purchased today at 10X the most recent VC valuation, what would my shares be worth? This will give you a good feel for how heavy the VC Liquidation Preferences are and how they would weigh down the growth in value of the common stock. If you are a founder and are negotiating with an acquiror, consider renegotiating your investors’ Liquidation Preference payout. Everything is negotiable in an acquisition, including the division of the acquisition price among founders, investors and employees. Do not get pushed around by your investors here, as their rights in the documents do not have to determine their payout. If your investors are pushing to receive the full Liquidation Preference and leaving you and/or your employees with a small cut of the payout, address this with your investment bankers. They may be able to help you play your acquiror against the investors so that you are not cut out of the wealth of the deal, as most acquirors want the founders and employees to receive enough of the acquisition price to inspire them to stay with the company after acquisition. Thanks to investment banker Michael Barker for his comments on founder merger negotiations. Michael is a Managing Director at Shea & Company, LLC, a technology-focused investment bank and leading strategic advisor to the software industry. Boris Epstein is the founder of BINC Search, a next-generation recruiting startup that helps Silicon Valley companies hire technical talent at the scale they need. You’re negotiating your salary and equity. You know there is a right answer – a bull’s eye where the final offer should land. But where is it? The right offer for you is the bull’s eye at the center of these possible offers. You can maximize your final offer by thoughtfully using these factors in your negotiation. The company may ask you to disclose your compensation in your previous positions – your Past Comp. If you disclose these numbers, be sure to include detail or “color” on the numbers to show the true value of your Past Comp. Do you believe your salary was lower than it should have been because of difficult financial circumstance at the company? Are you overdue for a review and raise? Does your company have valuable equity or a bonus structure that should be included to accurately describe your Past Comp? Are you expecting to continue vesting or receive additional stock option grants that you would forfeit by leaving your company? A thoughtful discussion of your Past Comp may be more effective than following the lore that you should never disclose this information. You can use your answer to the question to guide the company to the right offer. The company also considers your Peer Comp – the range this company is already paying employees in similar positions. You start shaping this number during your interview as you discuss roles, levels and opportunities and present information to help the company understand where you fit to add the most value to the team. For a company with a thoughtful system of leveling, there will be names or labels for each position and a range of salaries and equity packages they offer within each level. Your negotiation work is to distinguish yourself and show that you are a peer of those being paid at the highest end of the range for your level based on your unique skill set or experience. The more unique your position, the less experience a startup will have in defining your Peer Comp. If you are a first-hire designer, physician or other leadership or expert role, you may have to help the company understand who your peers will be. This is especially important in early-stage startups, where the hiring team might not understand that your new role should be considered a peer of, for example, vice presidents rather than junior engineers. The company also considers your Desired Comp – what you want to get paid. This is highly relevant to the right offer. Desired Comp is especially important in equity packages, where your evaluation of the company’s equity may vary greatly from another candidate’s evaluation of that package. If you’ve been hoping for a home run exit during your career, you’ll be looking for an equity package that could get you there. If you’re strapped for cash and looking to maximize salary, you will have less desire for an equity-heavy final offer. There may be some tradeoffs, of course, but the right offer will be centered on your Desired Comp. So do your self-reflection homework and know what you want. Companies take into account Market Comp and need to know what they will have to offer to stay competitive. While companies have a general idea of what is “market” for each position, your personal Market Comp is unique and driven by your efforts to identify alternative offers. The only way to use the right Market Comp in your negotiation is to go out to the market, derive that information and communicate it to the company. Once you have competitive offers, evaluate the equity packages and make thoughtful comparisons between them. For example, based on your appetite for risk and financial considerations, would you prefer options to purchase 1% of a Series A startup with a company valuation of $5 million or 5,000 RSUs of a public company with a current market price per share of $10? How many more stock options would the Series A startup have to offer you to equate to the public company offer? The company cannot make this estimation for you any more than they can decide which company is the best fit for your personality. When you own this process, you can confidently and effectively communicate to your company what is “market” for your equity offer. Market Comp is also relevant after hire, as the startup job market can shift dramatically over time and new opportunities are always surfacing. As you continually find new information about opportunities, you can continually communicate with your company about what is “market” in defining the right salary and equity for your position. With thoughtful attention to these four factors, you can use your negotiation to guide the company to the bull’s eye – the right offer for you. If you see the company using the wrong data, you can bring the conversation back to the truth as you see it and work toward the right outcome. Thanks for reading our shorter blog post: Bull's Eye - Negotiating the Right Job Offer. This is the full Q&A between Mary Russell and Boris Epstein. It’s long, but it’s full of lots of insights on how to negotiate the right compensation offer from a company. Mary Russell, Attorney @ Stock Option Counsel: Welcome, Boris. 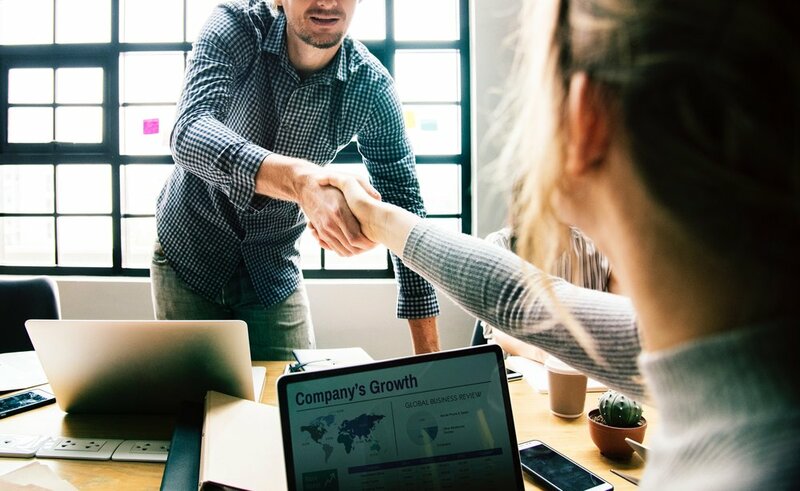 I’ve always enjoyed our discussions on compensation negotiations because you seem to believe that a candidate and a company can discover a “right offer.” Employees who come to me for Stock Option Counsel want to get to that “right offer” for salary and equity, and I’m happy you’ve joined us to share your perspective on how to get there. The epicenter of all the different data points would be what they would arrive at to get a right offer. So if all four numbers align, it’s really easy. If the four numbers are divergent in some way, then someone’s going to have to make tradeoffs and concessions. If the person’s making $100,000 but then they want $200,000, and market’s $150,000, someone’s going to have to make a tradeoff somewhere to arrive at the right package. Stock Option Counsel for individual employees and founders in all matters relating to startup stock options or other employee stock. 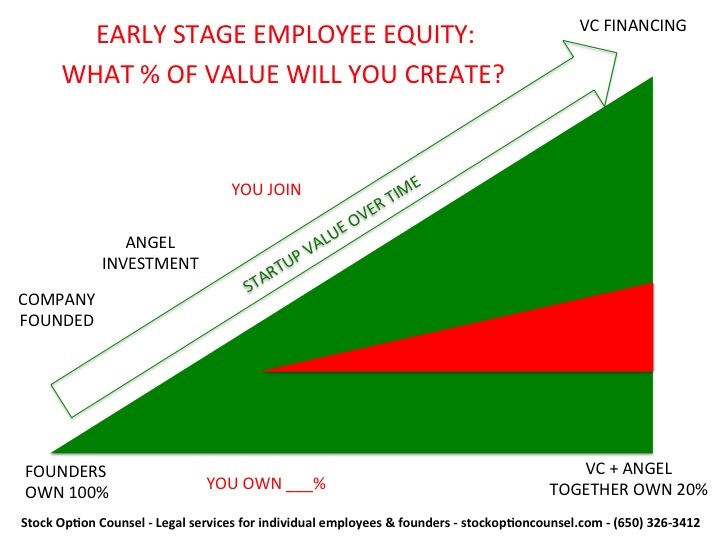 This video describes startup valuation for employees in a thoughtful, accessible way.